Learning effective ways to re-engage past clients is vital for expanding your business. Reactivating former clients costs less money than establishing new clients and often requires less effort. Whether your past clients stopped using your agency because they were unsatisfied with your services or simply lost touch and became inactive, there are three proven ways you can gain back their business. A robust home care system, like ClearCare, is here to help you welcome back past clients and earn their trust once again. 1. Send out monthly newsletters. The objective of keeping in touch with newsletters is to show past clients that their patronage is important to your agency. A newsletter highlights what is new and exciting with your business, generating new interest for your former clients. Be sure to include new features that your agency offers, such as the use of an innovative home care system. 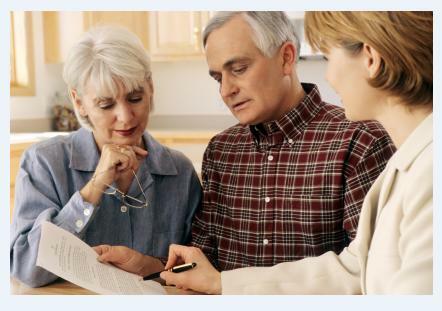 Explaining to your clients how they can benefit from using ClearCare’s home care software will surely entice them to use your agency once again. 2. Offer enticing specials to returning clients. Experts agree that exclusive offers extended to former clients is one of the easiest ways to regain their business. Give them an offer they can’t refuse, such as a free assessment of their current needs, discount on caregiving services, or free trial of your agency’s home care software if you’re utilizing a system like ClearCare. Keep in mind that your past clients may have new or different needs now. By offering them a choice of specials, the client will likely be more receptive to returning to your agency. 3. Highlight the benefits of using ClearCare’s home care system. If you want to regain past clients, you need to prove that you care about them. A home care system like ClearCare is designed to do just that. Sophisticated telephony provided by ClearCare ensures that caregivers are actually at the senior’s home as scheduled. The easy-to-use home care software helps caregivers keep track of all essential daily tasks – which are visible to family members upon completion. If your clients understand the myriad of benefits from using a robust home care system, they will be more than ready to return. You should consider performing a “reactivation campaign” several times throughout the year. The more time and effort you put into reactivating past clients, the more profits you’ll enjoy. Make sure you ask a ClearCare representative about the other exciting features our home care software has to offer. Keeping track of prospects is now easier than ever, as well as billing and payroll. Your caregivers are sure to love the time-saving home care software, which allows them to do away with labor-intensive paper care journals.